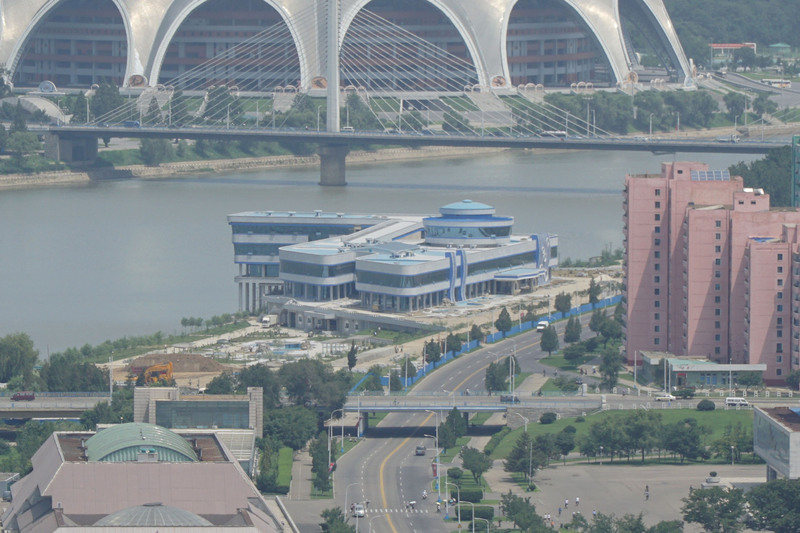 Since Kim Jong Un came to power following the death of Kim Jong Il in December 2011, North Korea has seen a significant uptick in construction. While government investment has on the one hand focused on the completion of colossal prestige projects like Ryomyong Street, Mirae Street, and the Masik Ryong Ski Resort, on the other hand scores and scores of much smaller building projects have been rising throughout the country. From new apartment blocks in once decrepit parts of Pyongyang, to new shopping mall ‘service centers’ on the banks of the Taedong River, construction efforts remain brisk in Pyongyang, July photos seen by NK News show, despite the recent completion of construction at the landmark Ryomyong Street in April. And a lack of tell-tale military propaganda on the sides of some of these new projects suggests private investment could be funding some of Pyongyang’s ongoing construction projects, it appears. 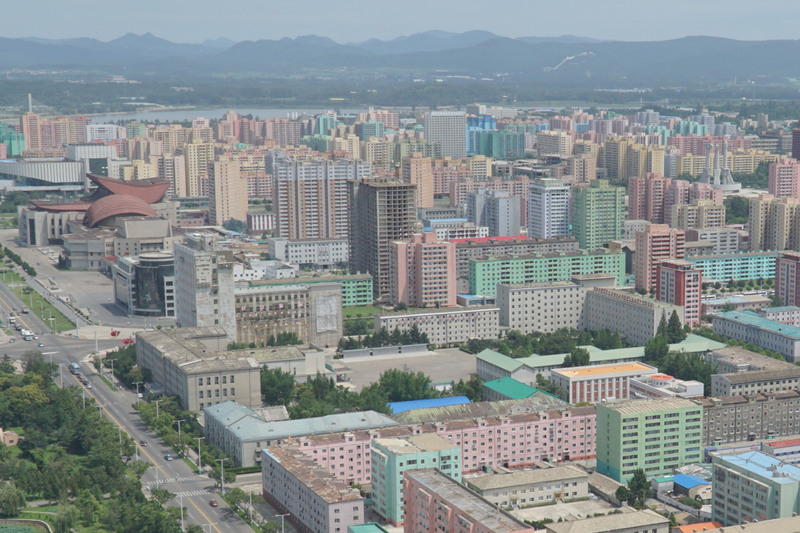 But what does the non-stop construction program that we can see in Pyongyang – and further flung cities like Wonsan, Chongjin and Rason– actually mean? While some observers say construction projects must mean that sanctions are not working, it’s important to recall that building in the DPRK costs significantly less than in the West. With tens of thousands of soldier builders available, dredging teams generating almost infinite supplies of sand on a daily basis, and factories nationwide capable of manufacturing cheap glass for windows and cladding for walls, the ongoing rise of new buildings throughout the country might not actually be as telling as some observers think. Nevertheless, the city remains littered with abandoned construction projects, a sign that despite the low costs, the perils of North Korean investment can be too much for even the best laid plans. 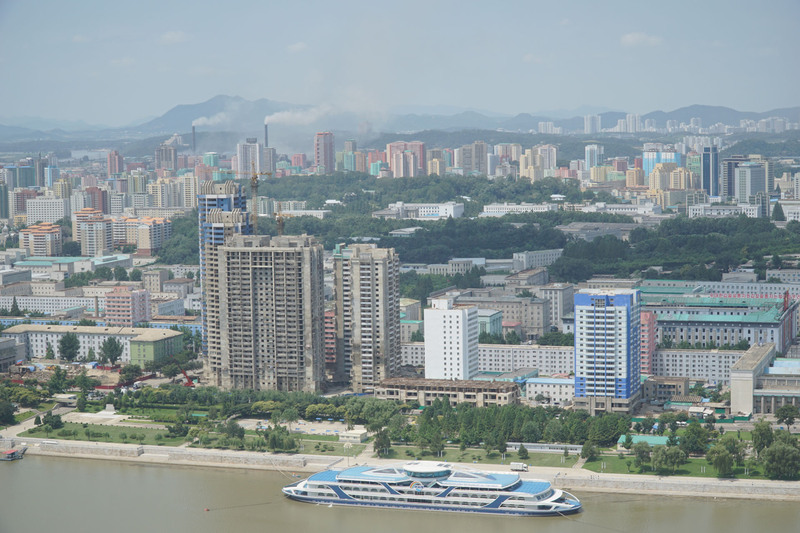 But whatever is the case, the general direction of movement suggests that the skyline of Pyongyang – and other cities, too – looks set to continue changing for many years more. Construction complete at new shopping mall? No construction workers can be seen at what has been described inside North Korea as a new "Service Complex" that includes "shops, restaurants and service facilities". 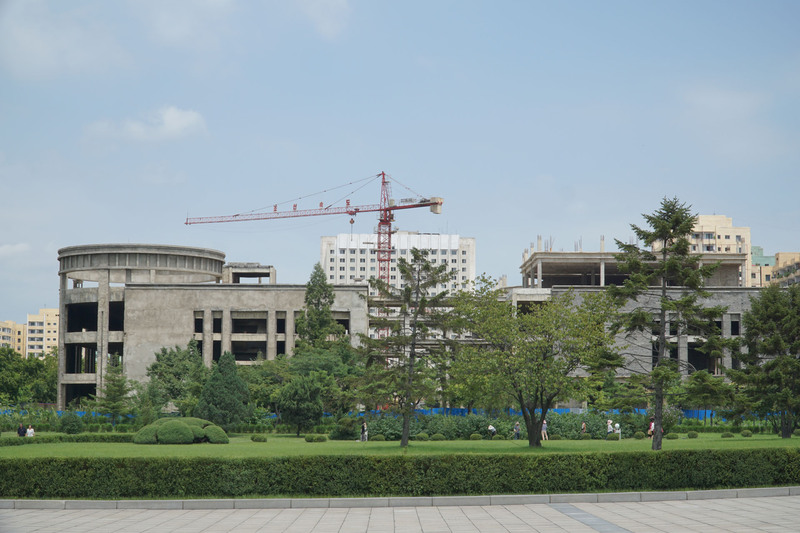 Construction of a southerly grouping of new high-rises adjacent to Kim Il Sung square appears to be proceeding with pace. In March, the new buildings, five in total, remained in a largely skeletal state. But images taken this July showed that two buildings are now fully painted, with progress underway on a third. 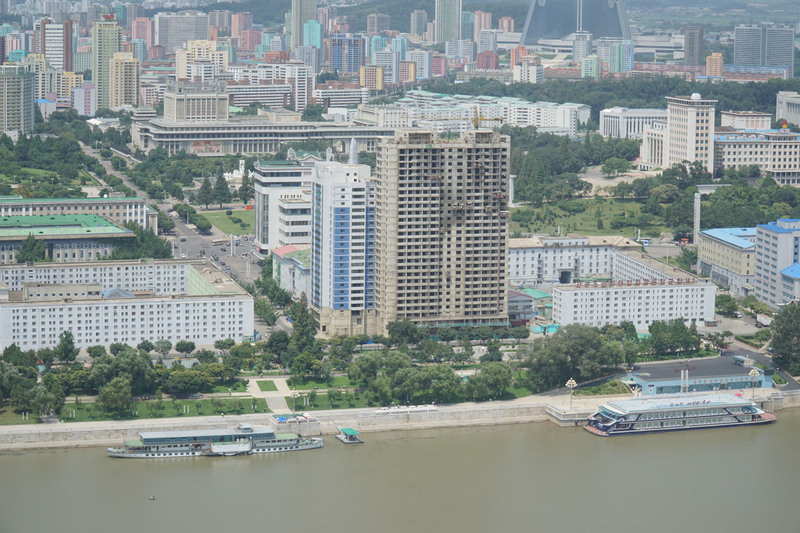 As they are located in the central area surrounded by the DPRK’s major government offices, the residences will most likely be occupied by the government officials and their families, a former resident of Pyongyang previously told NK News. On the Northern side of the square, construction also appears to be moving with pace. “From the looks of them, the construction may be finished before the first half of next year,” a defector with knowledge of Pyongyang construction told NK News in June. The construction of high-rise buildings within one kilometer of Kim Il Sung Square was banned for many years, the defector said, as they would block the view from Jusokdan, the podium from which North Korea leaders and officials watch major events being held, and would present security risks. "From what I remember, that regulation changed around the time when the North started to build its Changjon Street,” the defector said, referring to a luxury street located about 700 meters away from the square which was completed in December 2013. 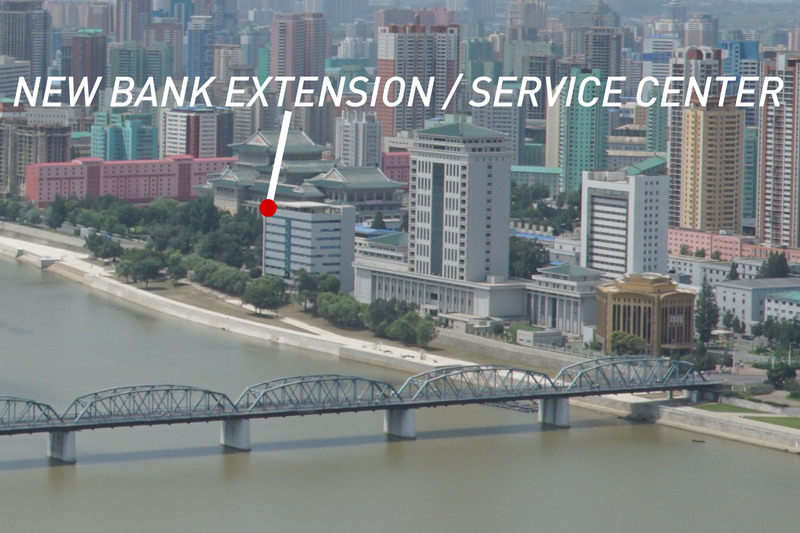 Adjacent to Pyongyang's Central Bank building (itself only completed in 2013), a new building has recently emerged with an as of yet unknown purpose. "Some people said it's part of the central bank. Others said it's going to be an Internet Service Center that will offer internet access to citizens," one regular visitor told NK News previously, on condition of anonymity. Any form of public internet provision within the DPRK would be a significant breakthrough for the country's information ecosystem. A recently constructed bike rental spot now features a propaganda poster detailing a winter military scene. 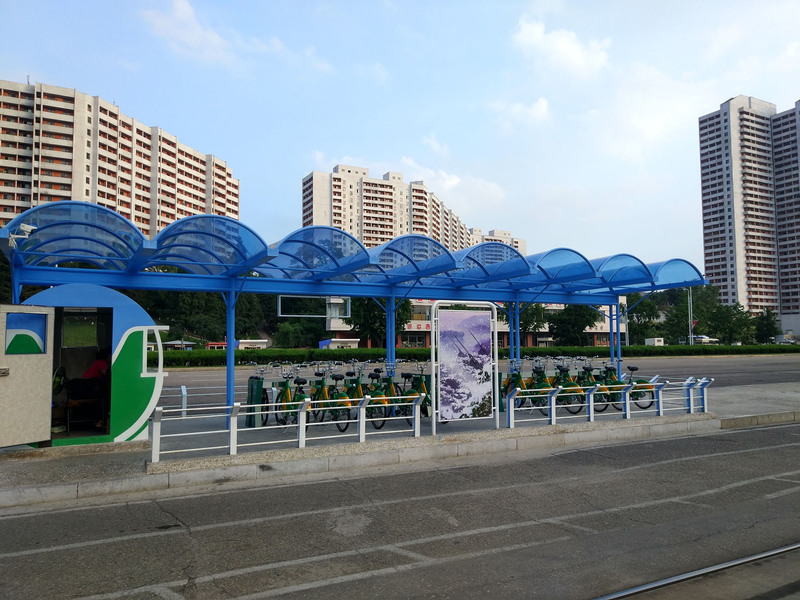 The emergence of the system, which will allow citizens to rent green-and-yellow bicycles from stations around the city, comes following a rapid growth in private taxi usage since similarly colored vehicles started emerging on Pyongyang streets in late 2013. 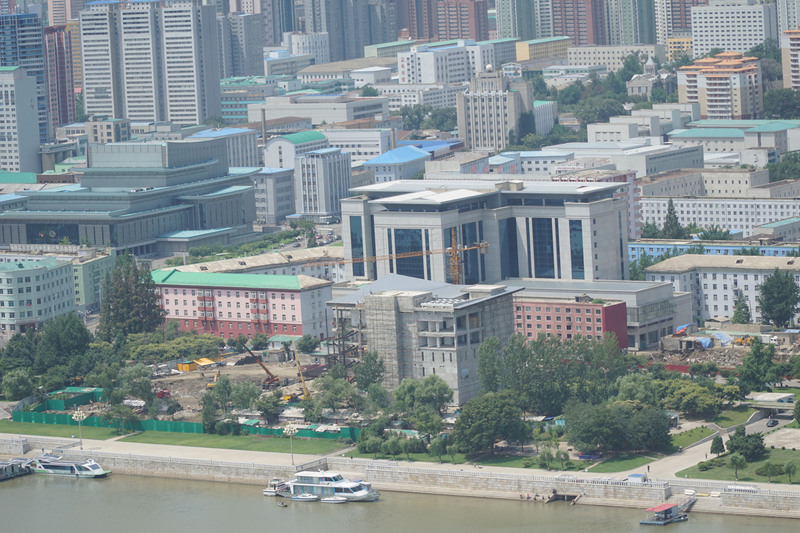 Construction continues an as of-yet unknown building adjacent to the river Taedong. Behind it stands Pyongyang's Taedong Hotel, which burned down in 2002 and was reconstructed in the years following. Though opened this year, it appeared residents hadn't fully moved in immediately after the April 13 ribbon-cutting ceremony. Now, in July, signs of occupancy are much easier to spot, while new shops and facilities appear ready for customers. The outer-facing side of Pyongyang's first-ever shopping mall shows a number of new shops. Visible are a construction workers' store, a pharmacy, a shopping mall entrance, and both photo and flower shops. 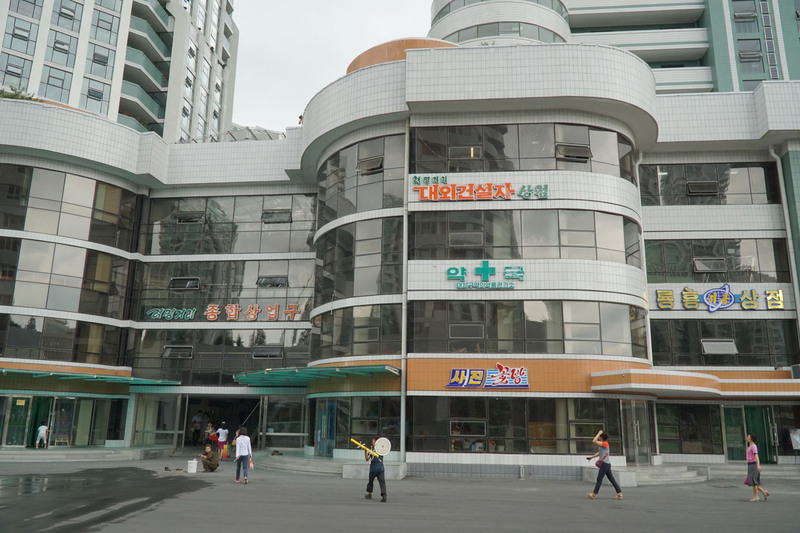 Though out of picture, sources recently told NK News that the street also includes a brand new musical instruments shop. 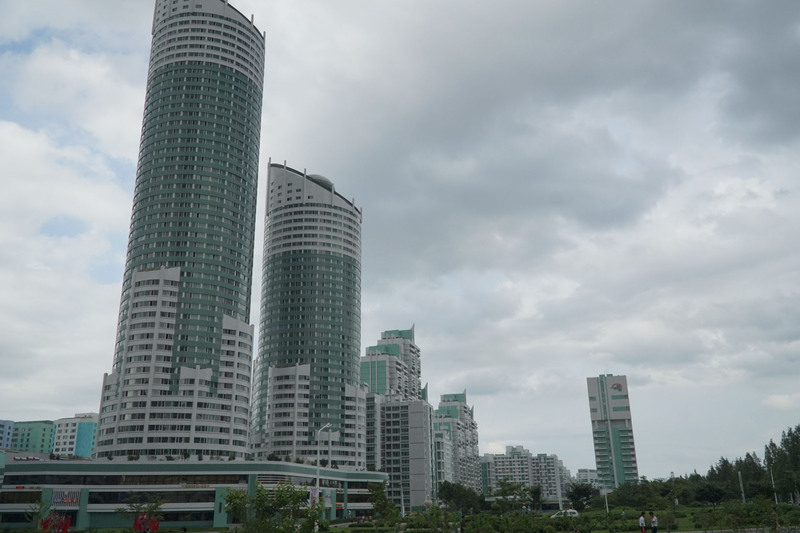 A new high-rise goes up in Pyongyang's Taedonggang district. The new apartment building is going up around the corner from the former Haedanghwa Service Complex – now known as the Ryugyong Service Complex. North Korean leader Kim Jong Un ordered his officials to change the name of Haedanghwa into Ryugyung in a bid to erase traces of his purged uncle Jang Song Thaek’s businesses, South Korea’s Yonhap News Agency reported on August 23 last year. A development emerging next to the Worker's Party Monument. The crane in the background says "Choson Speed". "It ground to a halt a couple of years ago," says Simon Cockerell of Koryo Tours. "It was supposed to be a fancy complex as I recall, like a Soho mall in China. But nothing added in a while," he says. "The building behind it is the Scientists Hotel." It's not all progress, however. 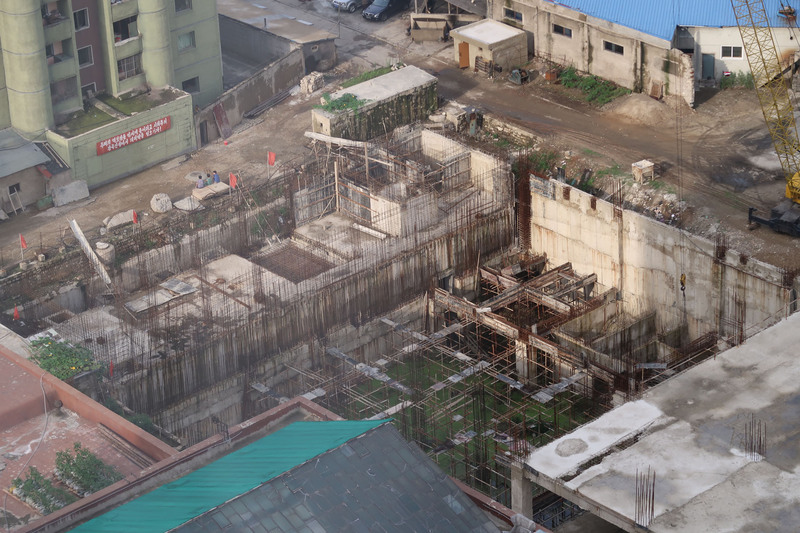 This view from the Koryo Hotel in July 2017 shows all that ever became of a ‘Seven Star’ luxury hotel construction project that kicked off in 2013. The construction of the hotel, which was previously claimed to be called the Yonggwang (영광호텔 – “Glory”) Hotel, was supposed to include a major casino, but was abandoned after investors got cold feet. “They lost investment so as of now it’s just sitting there rotting away. No one is interested,” a source said in 2014. 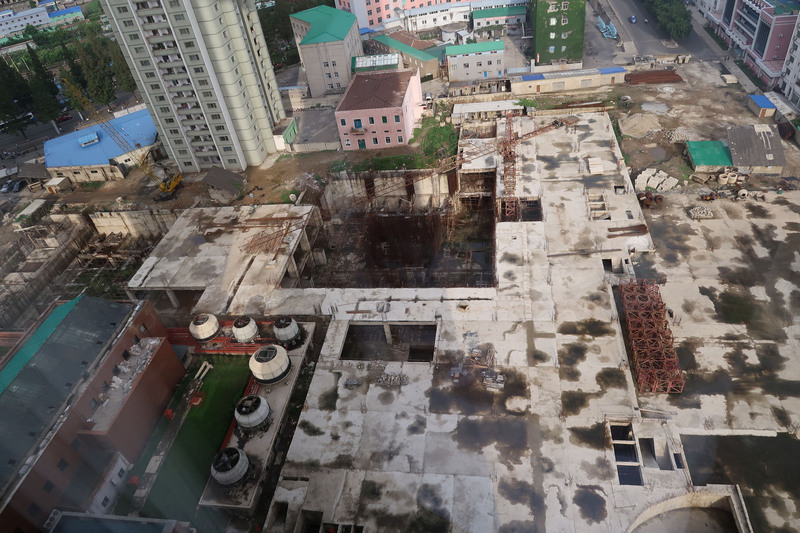 Another view of the remnants of the construction project abandoned in 2014, as seen from the Koryo Hotel in July 2017. Had it been completed, the size of the foundation indicated the building would have boosted Pyongyang’s hotel capacity by at least several hundred rooms. Whether demand to fill rooms at the planned Yonggwang Hotel would have ever emerged, however, remains unclear. Despite the absence of a major tourist industry, North Korea has an abundance of hotel capacity in Pyongyang, with at least 12 hotels able to accommodate foreign visitors and a number of others built for local use only.